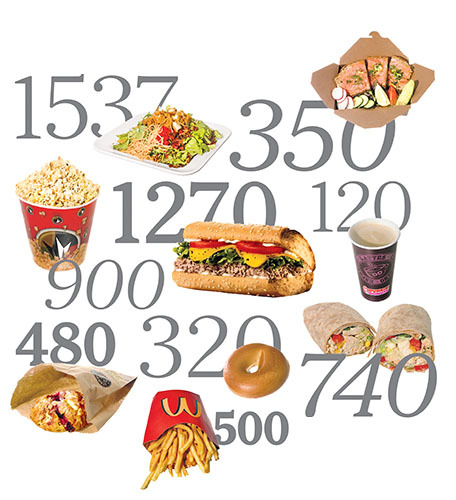 University Dining: Want to know how many calories? Want to know how many calories? The FDA is seeking public input about the possibility of requiring caloric information on menus. The idea is that a restaurant with 20 or more locations; with similar menus will post caloric nutritional information on their menus; including drive-thrus. Personally, I have an issue with this, but really can understand the reasoning. In the decades past, dining out was a luxury and an enjoyable costly excursion for most families. In this case, I don’t really see the need for caloric information because families knew that going out was not going to be as healthy as dining in. This is the reason we would go out. What’s changed? Dining out is no longer a simple pleasurable activity for many. Dining out has now become the actual source of sustenance for families on a daily basis. Although I don’t agree with this practice on so many levels, (read past blogs) I do understand that this is becoming the norm. The point is that families are dining out 4-5 times a week or more because they are unable or unwilling to cook for themselves. I would like to believe that those unable to cook at home try to find healthy alternatives, but the motivation for those unwilling may be a bit shortsighted on their part. Dare I say a little lazy? In this case, cost is probably the driving factor and as we all know, unhealthy dining costs less. 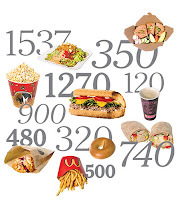 So, if you would like to see how many 1,000s of calories you consume from just a burger, fries, and soda, please vote in the affirmative at the FDA website. If you would like to change your life; cook for your family healthily, vote “NO”, then stop by your local bookstore and educate yourself. It is easier than you think!